BUENOS AIRES - Global leaders arrived in Buenos Aires, Argentina, on Thursday (Nov 29) for the weekend's Group of 20 (G-20) leaders' summit, amid disagreements between major powers over issues such as trade and geopolitical flashpoints. This year's summit is the 10th anniversary of the first Leaders' Summit, which brought leaders of the world's 20 largest economies together during the global financial crisis, as well as the first to be held in South America. With Argentina at the helm this year, the two-day global forum is set to focus on the future of work, infrastructure for development and a sustainable food future. Said Argentinian President Mauricio Macri in a summit publication: "Consensus is not always assured, but that is what the G-20 is for - to bring together the views of a diverse set of players to find common ground and commit to action for a shared and prosperous future." But as leaders arrived, they also brought with them signs of tensions over various unresolved issues. In Thursday afternoon tweets, United States President Donald Trump abruptly called off a planned meeting with Russian President Vladimir Putin over Russia's seizure of Ukrainian navy ships in disputed waters off the Crimean peninsula on Sunday. Said Mr Trump: "Based on the fact that the ships and sailors have not been returned to Ukraine from Russia, I have decided it would be best for all parties concerned to cancel my previously scheduled meeting in Argentina with President Vladimir Putin. I look forward to a meaningful summit again as soon as this situation is resolved!" All eyes are also on a scheduled Saturday dinner between Mr Trump and Chinese President Xi Jinping, which may determine whether the US-China trade war abates or continues towards a US tariff hike scheduled to take effect on Jan 1. Mr Trump told reporters before departing the White House on Thursday: "I think we're very close to doing something with China but I don't know that I want to do it." Meanwhile, French President Emmanuel Macron hinted he would raise the issue of murder of Saudi journalist Jamal Khashoggi when he meets Saudi Crown Prince Mohammed bin Salman, whom the CIA reportedly concluded had ordered the killing. "I will inevitably have the opportunity to discuss it with the Saudi crown prince on the sidelines of the G-20," Mr Macron said at a joint press conference in Buenos Aires on Thursday. 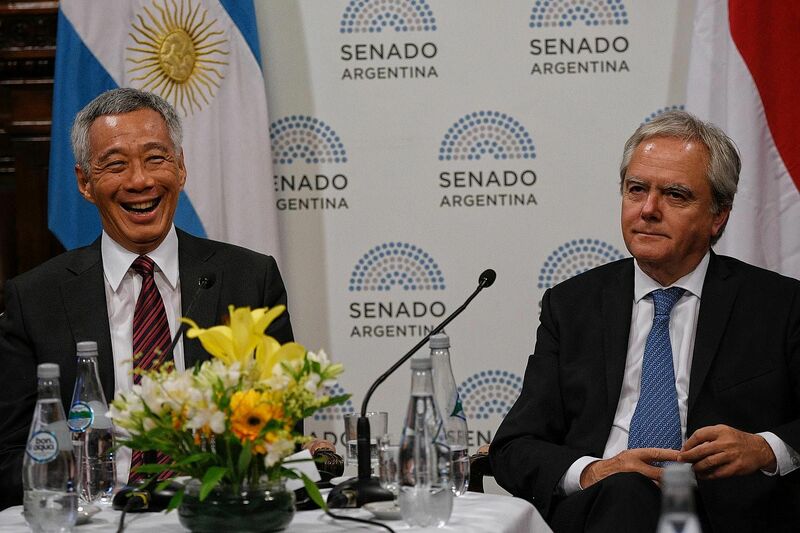 Singapore Prime Minister Lee Hsien Loong is attending the summit, as Argentina has invited Singapore as a representative of Asean this year. Mr Larreta briefed Mr Lee about his government's efforts to improve mobility by expanding the city's public transport networks and car-free zones. 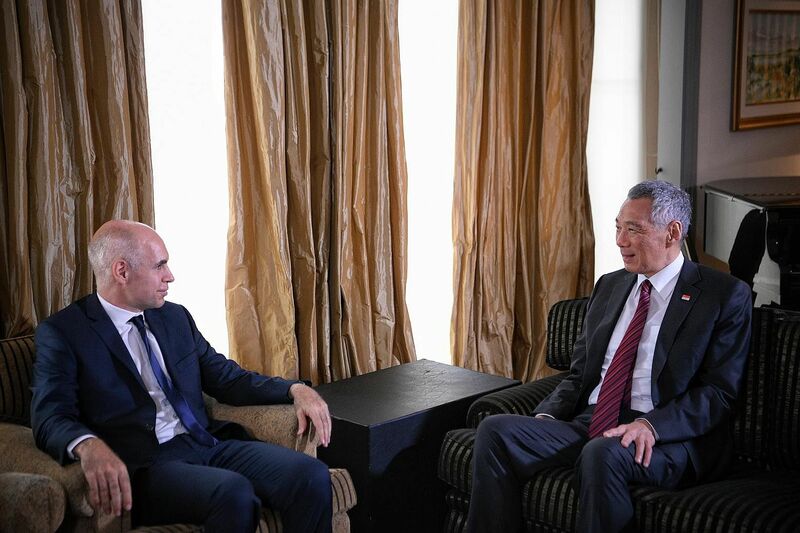 Mr Lee said that Singapore and Buenos Aires would benefit from more exchanges of ideas on areas of mutual interest, and invited Mayor Larreta to visit Singapore to learn more about Singapore's policies in security, urban development, and Smart Nation programmes, according to a statement from the Prime Minister's Office (PMO) on Thursday. Mr Lee also met Argentinian senate president Federico Pinedo, Buenos Aires senator Esteban Bullrich, Santa Fe national deputy Astrid Hummel, and other Argentinian congress members. Both sides discussed how to further cooperate in areas such as the promotion of trade and investment, agri-food exports, and educational exchanges, said the PMO. PM Lee welcomed members of the Argentine Congress to visit Singapore as part of a parliamentary exchange visit, while Speaker of Parliament Tan Chuan-Jin was invited to visit Argentina with fellow MPs.